UPDATED April 7, 2019 at 9:38 p.m.
Trump — who promised in a speech in early March to sign such an order — was surrounded by conservative student activists and cabinet members at a White House ceremony Thursday, as he declared the federal government will not give money to universities that “do not allow you to speak.” The order aims to promote “free and open debate” on college campuses across the country. "The heads of covered agencies shall… take appropriate steps, in a manner consistent with applicable law, including the First Amendment, to ensure institutions that receive Federal research or education grants promote free inquiry, including through compliance with all applicable Federal laws, regulations, and policies,” the order reads. Legal experts have criticized the order’s ambiguity, noting that it is unclear how it will be enforced in practice. In fact, its ambiguity may even threaten its constitutionality, according to University of California, Berkeley Law School Dean Erwin Chemerinsky. “It's unconstitutional because the law is clear that any conditions on federal funds have to be explicitly stated, and this is so ambiguous that no college administrator can know what he or she can and can't do without risking federal funds,” Chemerinsky said. Because Harvard is a private university, the federal government does not have the authority to dictate its free speech policies — but the government can create conditions for the University to receive federal funding. In 2018, Harvard received $622 million in federal research funding. Thursday’s order could affect nearly all of that. The agencies covered by the order, including the Department of Defense and the Department of Health, comprise more than 95 percent of Harvard’s federal funding. Grants from the National Institutes of Health — which is part of the Department of Health — make up over 70 percent of the University’s government funding. 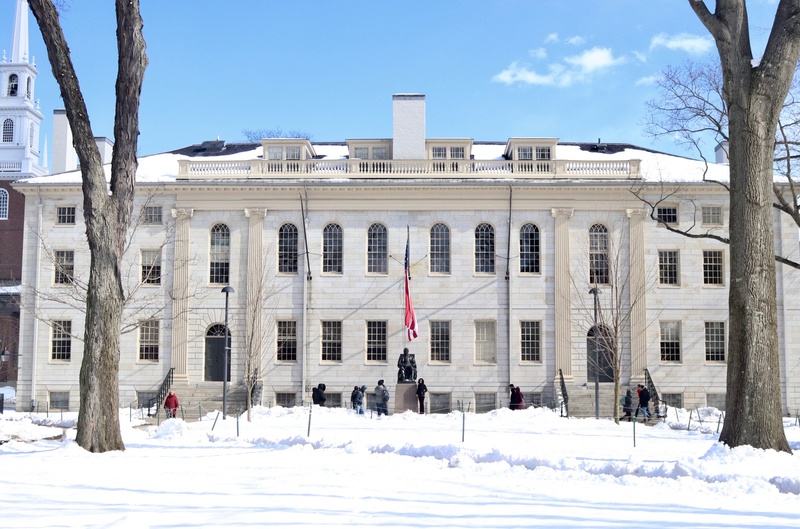 In recent years, the free speech debate at Harvard has been driven in part by the Open Campus Initiative, an organization launched in 2016 to “test” the University’s commitment to free speech by inviting controversial speakers to campus. OCI invited controversial sociologist Charles A. Murray ’65 — whose theory that race can be linked to IQ has been denounced as “racist pseudoscience” by the Southern Poverty Law Center — to speak at the Harvard Mineralogical and Geological Museum in September 2017. The University paid the Cambridge Police Department $12,000 to provide Murray with heavy security at the event, which some students criticized as providing a platform for racist ideology. Alexis M. Mealey ’21, the current president of OCI, said in early March that the proposed order left her “conflicted,” given that in her view, the extent of free speech restriction varies between institutions. At Harvard there is not a “huge need” for government intervention, she argued. Richard Parker, a lecturer at Harvard Kennedy School, said the executive order constituted a “red-meat idea for young conservatives.” Still, Parker — who co-founded the left-leaning magazine Mother Jones — said Harvard has suppressed free speech in past decades. He pointed to administrators’ decision to deny tenure to two economics professors in the mid-1930s — known as the “Walsh-Sweezy controversy” — in a move that sparked allegations of ideological discrimination against socialist ideas. Experts also said the executive order’s perceived partisan motivations may undermine its efficacy. University of Florida Professor Clay Calvert, who directs the university’s First Amendment Project, wrote in an email that the order may not have any practical effect because it requires public universities to abide by the First Amendment, which they are already legally required to do. Private universities set their own free speech policies. A previous version of this article incorrectly stated that the order covers agencies that make up 25 percent of Harvard's federal funding. In fact, the order covers agencies that comprise more than 95 percent of Harvard's federal funding.